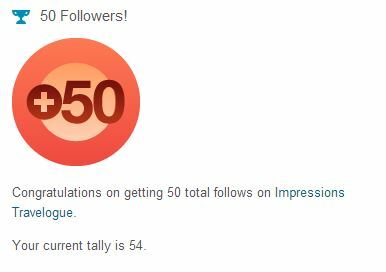 I Have 50 WordPress Followers!!! Thank you to all for following me! This entry was posted in Websites, Tips, Musings, and Quotes and tagged blogging, milestone, milestones, travel, travel blogging, travel photography. Bookmark the permalink.